Carbon taxes are frequently cited as an efficient way to reduce greenhouse gas emissions. However, policy makers need to fully understand the economic implications of a carbon tax before pursuing this option. REMI cordially invites you to a guest webinar presentation by Scott Nystrom, a Director at FTI Consulting, Inc., titled “Economic Impacts of a Revenue-Neutral Carbon Tax” on Tuesday, October 23rd from 2 to 3 p.m. EST with a repeat presentation on Thursday, October 25th. Alliance for Market Solutions commissioned FTI Consulting to evaluate the economic, fiscal and emission effects of a national revenue-neutral carbon tax. The study’s authors applied this tax at the point of extraction or import, and simulated the implications of raising the cost of fossil fuels on the national, state and industry levels. Mr. Nystrom, a co-author on the report, will review the proposal and the potential implications for the U.S. and state economies and major industries. 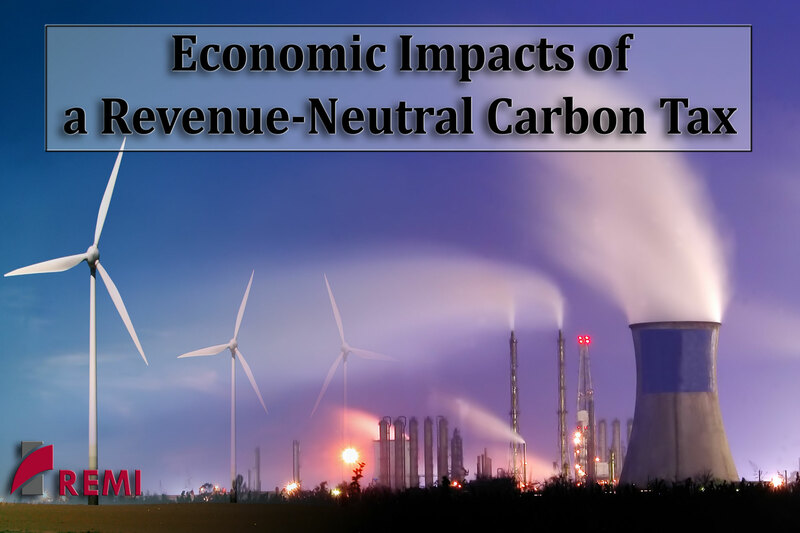 He will also describe the methodologies behind the analysis of a revenue-neutral carbon tax.